Cowlitz PUD will raise its electric rates by 2.5 percent effective Oct.1, under a proposal approved by the PUD commissioners Tuesday. 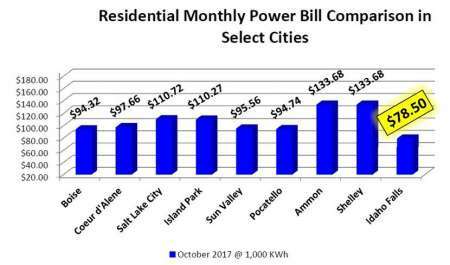 The rate increase will mean the average residential customer pays about $3.20 more a month for a home using 1,500 killowatt hours of power. The PUD said the rate hike would have been higher had the utility not built up its cash reserves from power sales in the last year. Cowlitz PUD says it is raising its rates to cover the costs of increased power from Bonneville Power Administration, which is raising its own rates by 5.4 percent. The utility gets about 90 percent of its power from the federal agency that markets electricity from Columbia River dams. Typically, BPA rate increases are passed onto Cowlitz PUD customers because the utility says it has little wiggle room in its budget to absorb higher power costs. Also this year, the utility expects to see a big hit to its revenue as one of its largest industrial clients, Norpac, cuts back production by a third. However a better-than-expected year for water and more aggressive sales in the futures market enabled the utility to make more money in power sales, building up its cash reserves to about $100 million. Next year the utility expects to use about $3 million in cash reserves to help hold down power rate increases for its customers. That number could escalate to $9 million in the event of an extremely bad water year. For bond rating requirements, the PUD aims to keep 90 days of power costs on hand, plus the cost of two bad consecutive water years and extra reserves for emergencies.